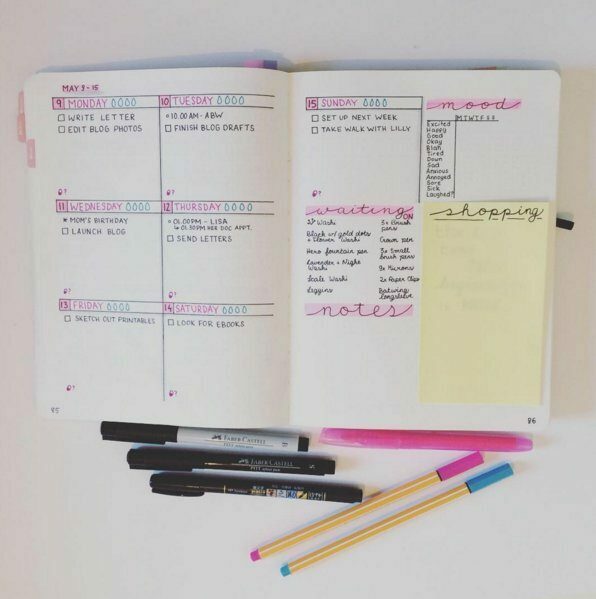 Whether you’re trying to stay organized, plan ahead, or set goals; using a bullet journal is a great way to keep it all together! 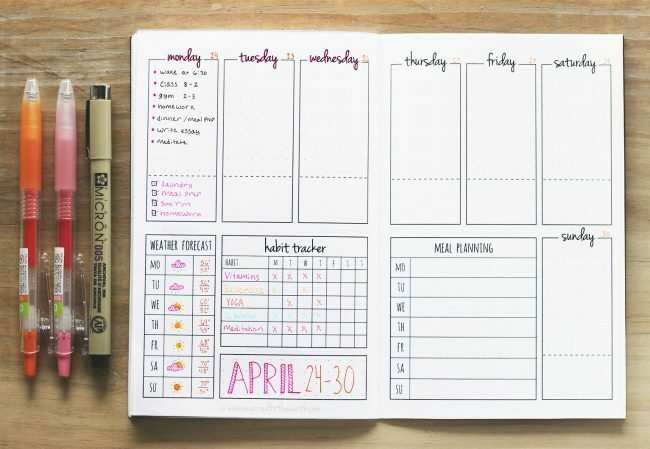 It makes tracking goals and planning a lot more fun and inspiring! 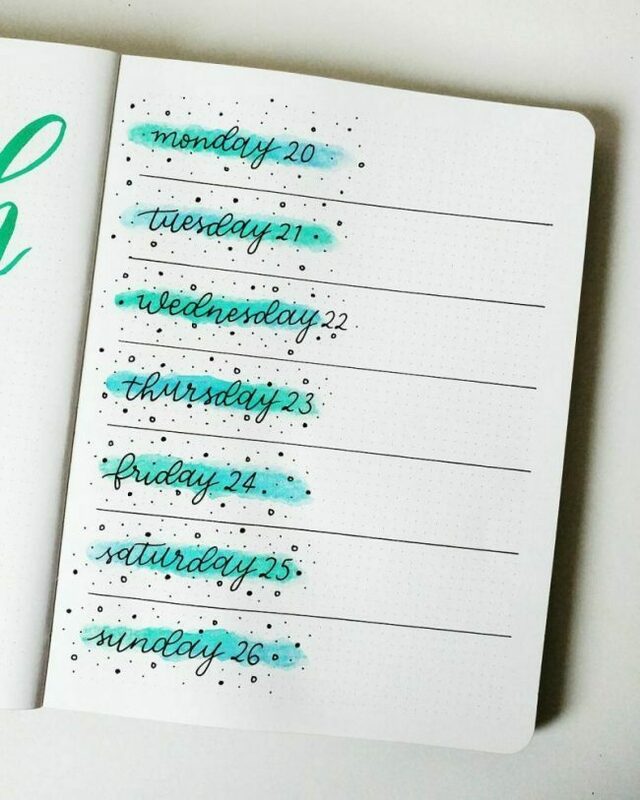 One of my favorite things about using my bullet journal is the ability to customize it and make it my own. 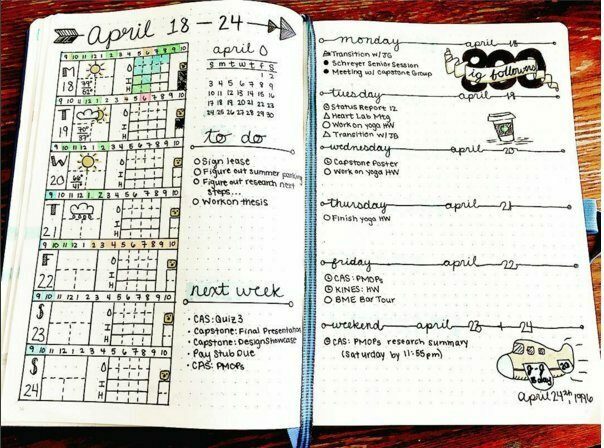 You don’t have to be an artist, or good at drawing to create your own bullet journal. Overall, you just want to use a layout that works best for you. 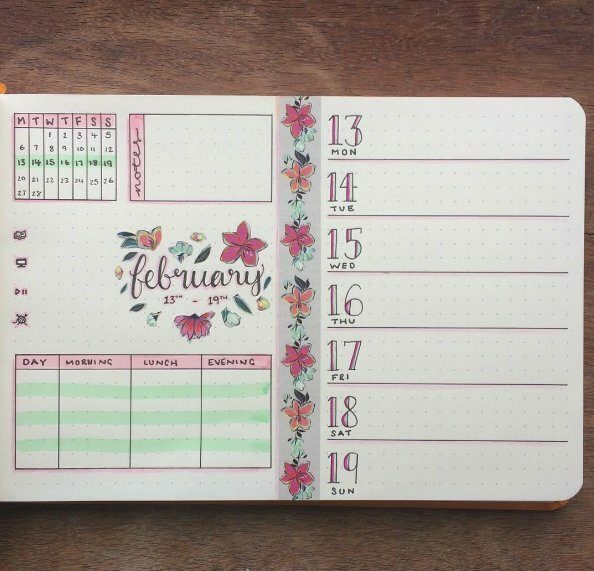 Something about getting a new planner, and writing things down just gives you a little bit more motivation to get them done. 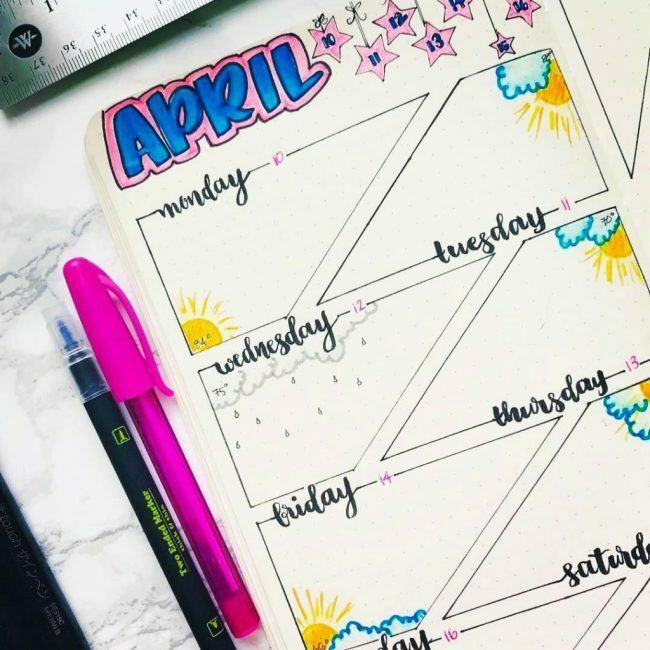 One of the most common uses of a bullet journal is weekly planning, which can be done by creating a weekly layout spread. 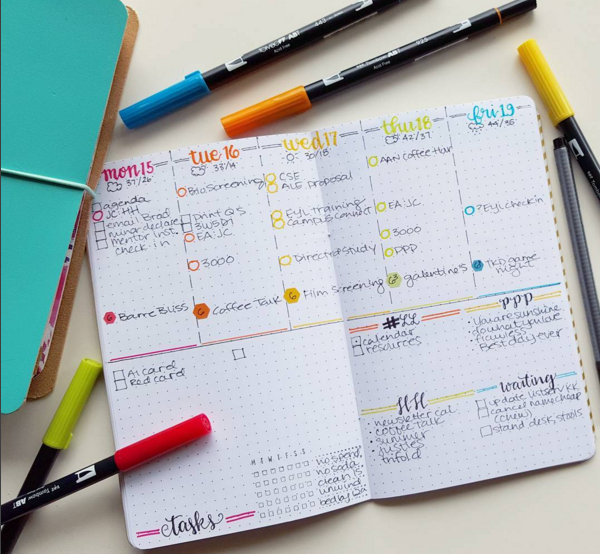 These weekly spread ideas are sure to inspire you to plan ahead and hit your goals! 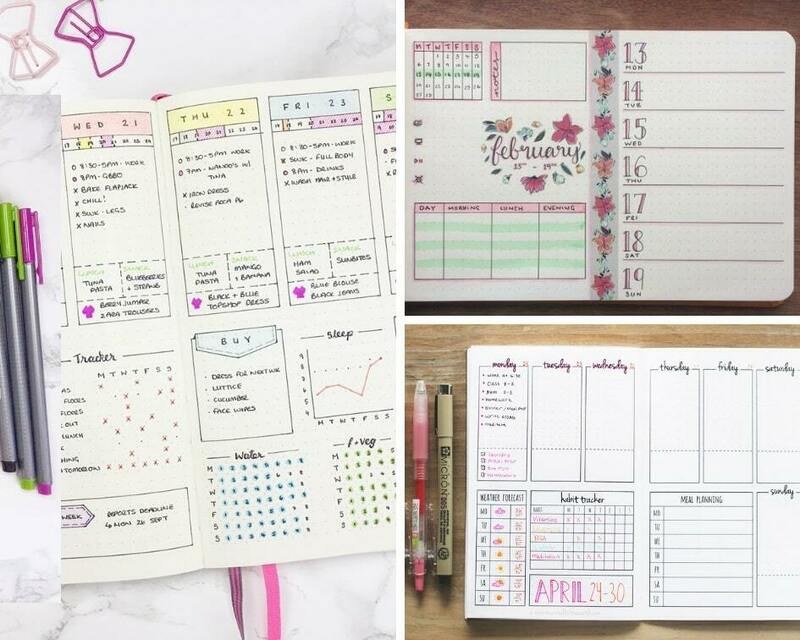 I mentioned earlier that you don’t have to be an artist to create a bullet journal. 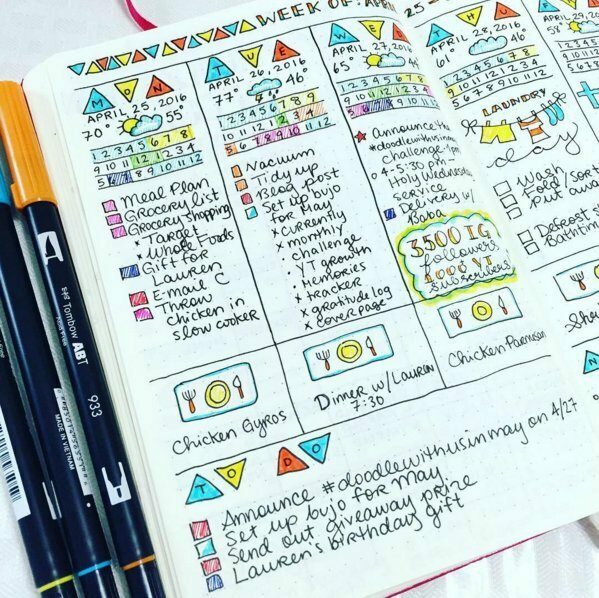 I love how @alexandra_plans uses simple shapes like triangles, squares, and rectangles for this weekly layout design. 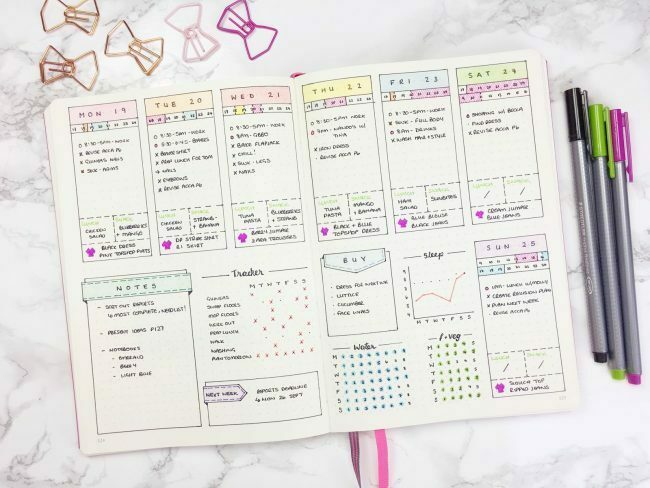 I hope that you were able to get some bullet journal inspiration for your weekly layout spread. 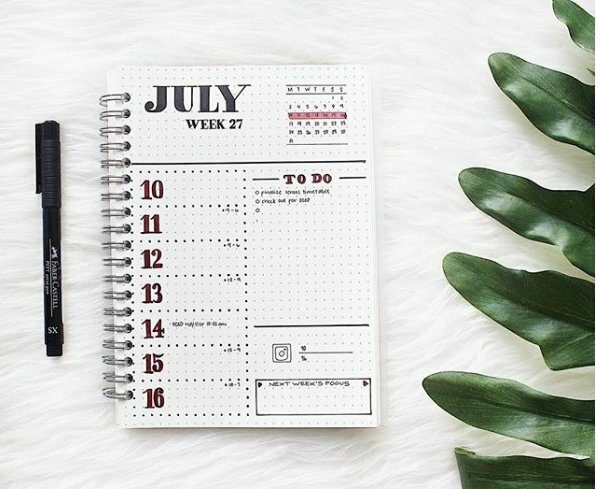 These ideas should get you started. Feel free to add your own personal twist on any of these to make them your own!